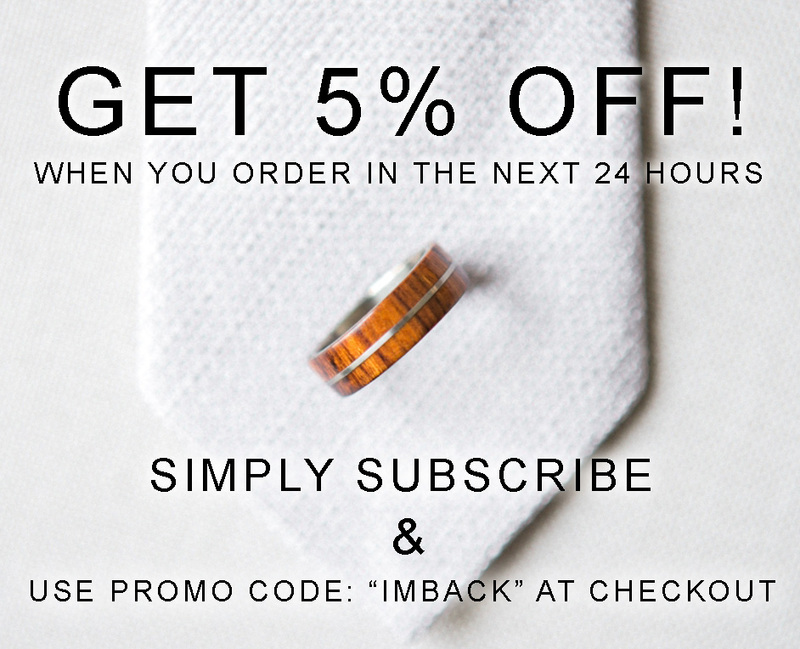 If you add a ring or box engraving to your order please keep in mind that may add a few extra days to your ship date. We love taking on custom orders. If you have your own idea for a design reach out to us in the contact section of the website, we want to make something as unique and special as the love you have found. Because we use natural and unique materials in our rings, variation must be expected. No two rings will look the same, each piece of wood, antler, copper, etc... will have unique patterns, grains, colors, etc.. Started from raw materials, each ring is a multi-day process and is made just for you. To ensure a good fit, we recommend being sized by at least 2 jewelers, using rings that are similar to the width that you plan on ordering from us, NOT the thin key chain ring sizers sometimes used by jewelers. Wider rings will not fit in the same size that thin rings do. The rings cannot be resized without being completely remade. For this reason refunds and remakes can not be given if a ring is ordered in the wrong size, however a discounted remake fee can be made available. If you take the time to try on rings in the width you will be ordering we are confident that the ring we craft you will fit perfectly. ADD A WARRANTY TO YOUR ORDER BELOW!